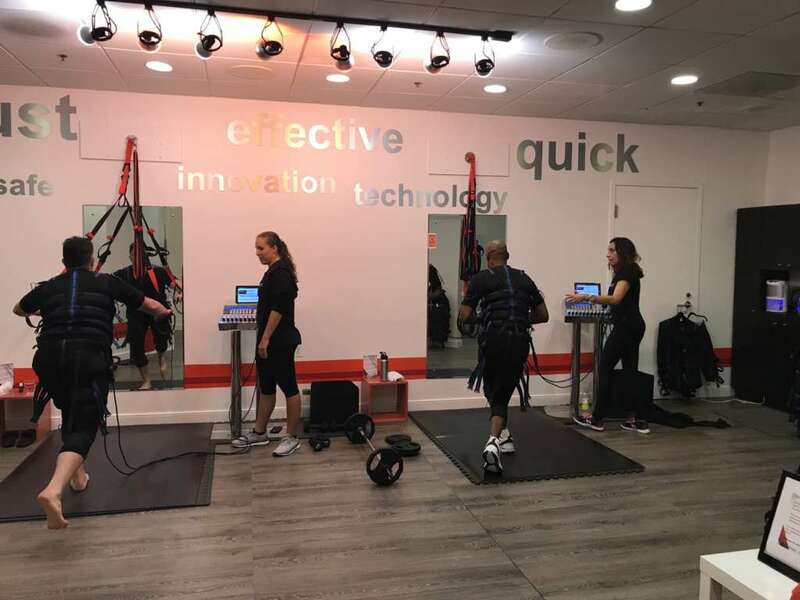 Nestled away in Sport and Health at Worldgate Drive is a fitness studio with a surprising twist on exercising: Electrical Muscle Stimulation (EMS). 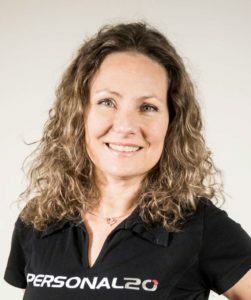 Co-founded by Connie and Pedro Ruiz, Personal20 started as an EMS franchise in Portugal before it came to the United States in 2017. The Herndon location at 13037 Worldgate Drive is the only one in the country, although that might change as Connie Ruiz eyes new markets for a possible expansion. This is how it works: clients don special suits with 10 pairs of electrodes that provide electrical stimulation to the muscles as they work out for 20 minutes. During the sessions, the muscles feel tingly and prickly sensations. The workouts, which are delivered by certified personal trainers or physiotherapists, are customizable to clients’ goals, ranging from weight loss to minimizing back pain issues. Personal20 claims the technology provides all of the benefits of a 90-minute workout in 20 minutes. Ruiz told Reston Now that most of the prospective clients find out about Personal20 either through Sport and Health or from current clients. While “Electro Fitness” is a novelty in the U.S., Ruiz said that it has gained popularity in Europe, where professional soccer team athletes and celebrities have brought attention to EMS training. Reston Now caught up with Ruiz to find out the details behind why “Electro Fitness” landed in Herndon. Connie Ruiz: The demographics supported the brand positioning as a premium service for those with disposable income who are busy working executives and professionals who value exercise but are challenged with time. RN: How many people can you accommodate now with the two stations per day? CR: We can service about 28 trainings a day with our two stations. We just now have started considering a third station for the first semester of the year. RN: Can you describe the very first time you tried electro fitness? CR: The very first time I tried it was in Europe, after my husband wanted to start the concept however I was initially resistant. When I tried it, I gave up all my other exercise and only did Electro Fitness once a week. After the one month workout (four visits), I was amazed at the results. I got definition in my arms that I never had before and I even lost a couple of pounds. RN: What’s your favorite part of the training? CR: The effectiveness in a short time. I love that I can do a 20-minute workout only twice a week and see body shape change and definition. I can even do one a week for maintenance. RN: What keeps people coming back? CR: The common thread that keeps people coming back is the effectiveness of the technology. It really does deliver all the benefits of a 90-minute workout in only 20 minutes. Also, the clients enjoy the experience as that is what we focus on delivering.